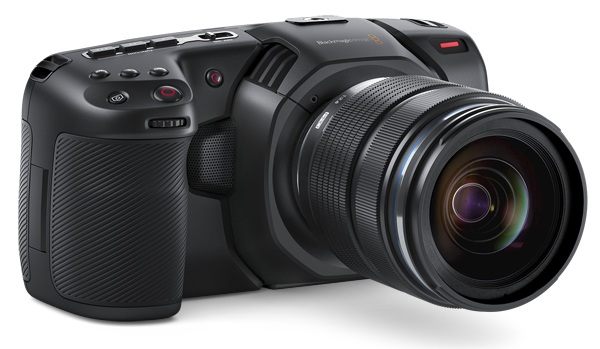 Blackmagic has added some new features and improvements to the Pocket Cinema Camera 4K with the help of the Camera 6.1 update, including a new pixel remap function, new 2:1 monitoring frames and improved battery performance and audio recording. The Blackmagic Camera 6.1 update is now available as a free download. The new camera internal calibration function makes it possible to recalibrate pixels (actually Sensel) in the camera. This is useful because it can happen that the brightness of some pixels changes permanently over time, which then become visible as "dead pixels" in the image. With the new pixel calibration function the brightness of each pixel can be adjusted to make faulty pixels invisible. Audio recording is considerably improved by means of the built-in microphones. By analyzing the audio data of the double microphones on each side of the camera, the noise level of the recordings is drastically reduced. In addition, latency for audio monitoring has been reduced, audio and video synchronization has been fine-tuned, and the 3.5mm audio input selection interface is now more intuitive and faster to use. 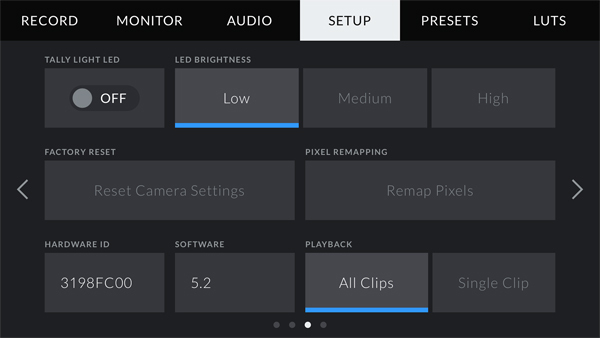 The Blackmagic Cameras 6.1 update also improves autofocus performance. Autofocus responds faster and more accurately. There is also a new media formatting interface that prevents users from accidentally formatting media cards. Users must then press and hold the media format confirmation button for 3 seconds before deleting and reformatting a card. The Blackmagic Camera 6.1 update also includes 2:1 monitoring frame guides and a 10-15% increase in battery life and more accurate indication of remaining battery power through new power saving features and efficiency improvements.